Speaking of colors, then you better try rich earthy tones, including warm browns, burgundy, rust, mustard, and green, but you can combine these shades with bright hues. 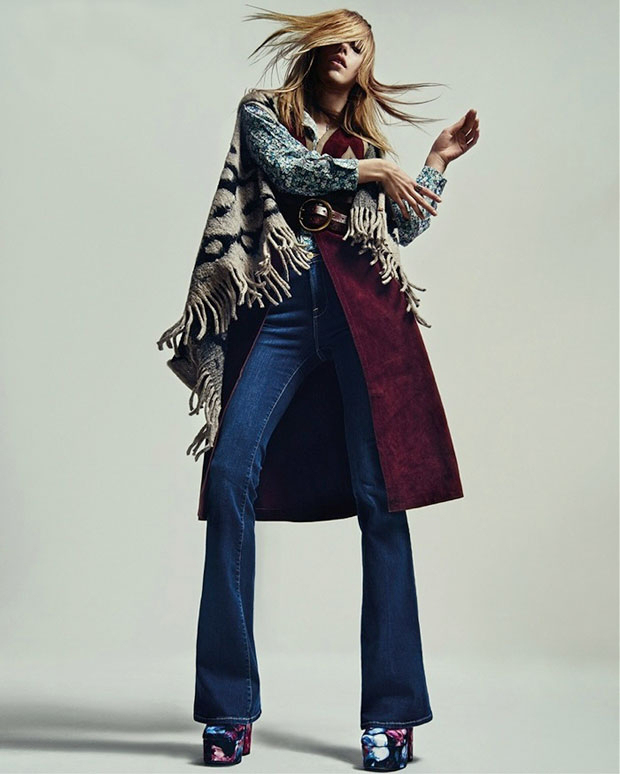 Don't forget about hippies looks and bohemian silhouettes with gorgeous Indian style prints, tie dye effects, knitwear, crochet, free flowing frocks, and wide legged trousers. Personally, I like to see disco touches with all those body-baring glamorous staples, kaftans, sheer blouses and shiny evening wear.